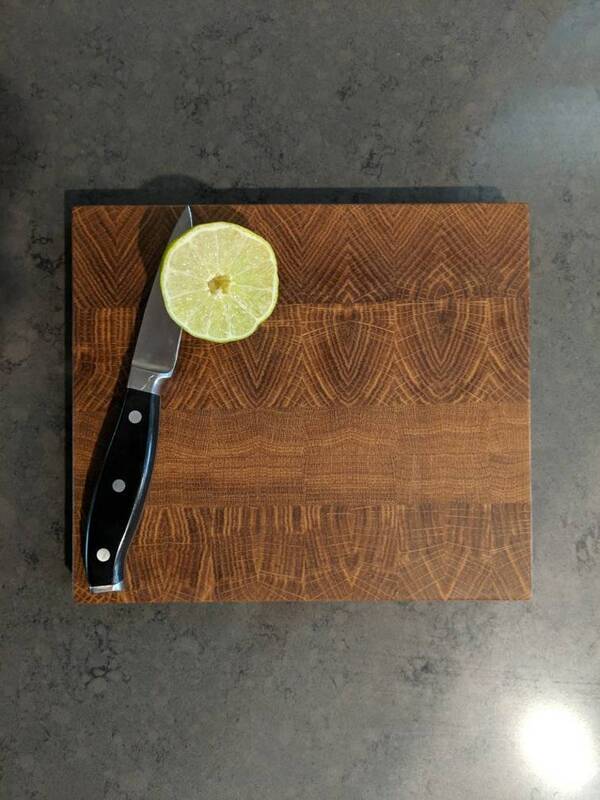 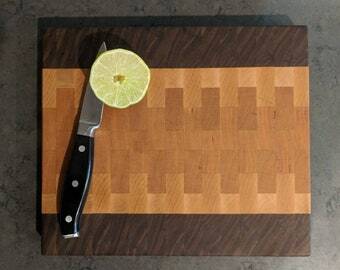 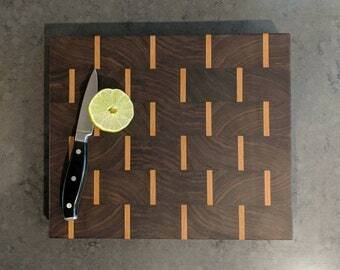 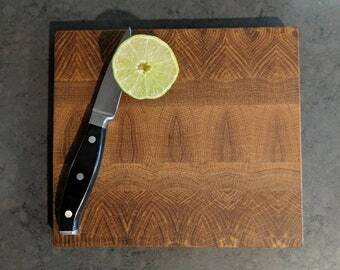 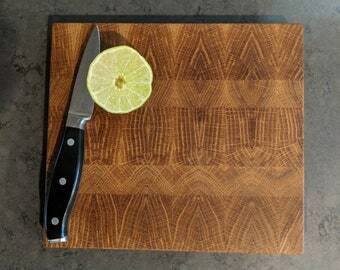 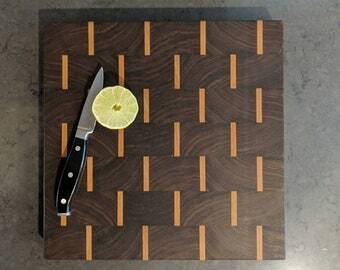 This end grain cutting board is made from white oak and measures 8.75" x 7.75" x 1". 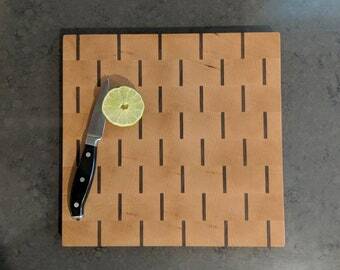 Without the rubber feet option this board is reversible! 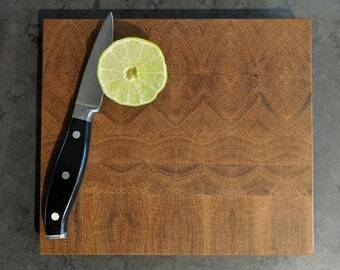 Rubber feet are available to customize your order.